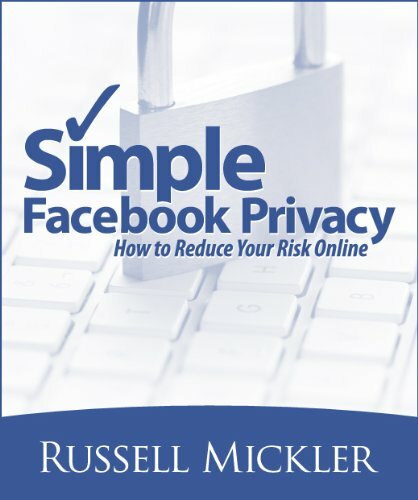 10 Things You Can Do to Enhance Your Privacy and Security Online — Mickler & Associates, Inc.
Safeguarding your Personal Private Information (PPI) and thwarting identity thieves is your responsibility; nobody else is going to do it for you. And if you aren't taking reasonable precautions, you're likely to become a victim. Here's a couple of practical tips for safeguarding your PPI from wrong-doers. Get a Secure Physical Mailbox. Take a look at your mailbox. You know: that little tin drop box used to house your most confidential PPI ever? If you can't lock it, why are you using it? Remedy that. Get a secure mailbox at The UPS Store or your local postal service. Addendum: make all of your critical utility and consumer banking payments electronically and reduce the need for physical mail entirely. The less PPI that transfers in the actual mail, the better. Get a Dedicated Credit Card. Set up a credit/debit account with your financial institution that's exclusively used for all of your online purchases. It should be a unique account and separate from all of your other assets. Run online purchases through this account. Kill the card and account at any time without any real consequence to your actual banking accounts. A complex password is a password that's at least 10 characters long, mixed-case, with meta-characters like punctuation in it. Example: G0lfc0urs3! - read as "Golfcourse". Why? It takes a typical microcomputer 5 minutes to hack a simple password and over 500 years to crack the variability of a complex password. The time it takes to hack a complex password is an effective deterrent. Yeah, it's tough to remember, and that's the point. Convenience is the enemy of security. Don't make it convenient for somebody to hack you. Don't Use the Same Password Everywhere. Okay, sure, using multiple passwords can be a pain, but - hey, didn't I just say this? - convenience is the enemy of security. If somebody hacks one account and it's easy to guess the credential to other accounts. That kind of behavior only makes you more vulnerable. Ditch Facebook ... or Constrain It. Facebook is a huge repository of consumer PPI and it's only becoming more sophisticated at revealing private details about your life to others. Those details make it easier to case (or investigate) who you are and what you do online. Leaving Facebook, though, may not be entirely an option, so your next best approach would be to constrain what Facebook shares about you. Check out Facebook's Privacy Settings and seriously limit what Facebook shares about you. Ditch Microsoft Windows ... or Constrain It. The Microsoft Windows operating system is less secure than Mac O/S or Linux; security experts recommend avoiding using the product. Still, chances are, your behaviors are already changing and you're using more secure operating systems found on your phones (iOS and Android) for transferring critical PPI, and that's probably a good thing and a strategy for containing your risk. If you can't abandon Windows, at least curtail your banking and utility payments on the platform in favor of paying by mobile apps. The less PPI you share on Windows, all the better. Use Google's Chrome Browser. On Every Device. Optimize it's Privacy. Install HTTPS Everywhere. Google Chrome is a browser designed around better Internet security. It's faster and more secure than Windows Internet Explorer and Mozilla's Firefox. Chrome is free and available for all platforms: PC, Mac, iOS, and Android. Install Chrome and optimize it's privacy features. Then, install HTTPS Everywhere: a free tool built in to Chrome that forces a secure connection to the places you go on the Internet. Teathering refers to using your cell phone as a data hotspot. Carrier plans that include teathering are really inexpensive these days and are considered a standard feature. Instead of using public wifi access points (which can be designed as a honeypot to have unsuspecting users connect to it and expose PPI), you'd want to teather your laptop or tablet computers against your mobile device. Your cell carrier is ultimately more secure than any random wifi hotspot you might find in the field. It'll help keep the information you transfer confidential and private. Be conscious of where you share your personal private information; who you give your business card and personal information to. Question why somebody wants a critical identifier like a driver's license or a Social Security Number and even consider not doing business with these people. Limit your applications for credit and your banking products to a single provider. Don't sign up for everything you see online and delete online accounts that are no longer in use. Shred any physical documents instead of throwing them into the mail. Sit down with your spouse or partner and discuss strategies for limiting each other's exposure. Be conscious and take specific actions to reduce how someone could acquire your PPI and exploit a vulnerability. Be Conscious of Social Engineering. Imagine being in a checkout lane at the supermarket. You have somebody behind you looking at their phone. Meanwhile, you remove your credit card and swipe it, then, enter a PIN code, into a reader device in plain sight. All the while, the guy behind you on the phone is recording your activities, capturing your card data and PIN on video. Your assumption of privacy got the best of you. Be aware of your surroundings and of those who may be using electronic devices around you. Take immediate action to protect yourself.